Hi and welcome to Wednesday Wickedness. We are like other memes in that we will ask you ten questions each and every Wednesday. But our little "twist" is that each week we will pick a famous person and pick ten of their quotes. Each of our questions will be based on the quotes. Got it? Great! Let's begin this week's meme! 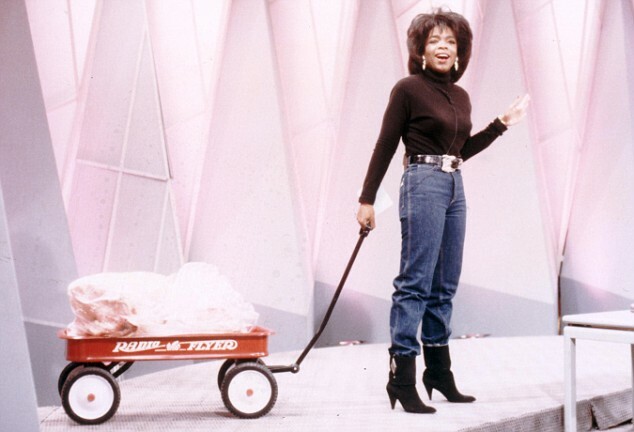 Today we picked Oprah Winfrey. Here's Wednesday Wickedness! 1. “I don't think you ever stop giving. I really don't. I think it's an on-going process. And it's not just about being able to write a check. It's being able to touch somebody's life.” What was the last thing that you did to help somebody’s life? I fed my kids dinner. 2. “Breathe. Let go. And remind yourself that this very moment is the only one you know you have for sure.” How long have you ever held your breath? I used to be able to hold my breath 2x across the side of the pool when I was kid. 3. “As you become more clear about who you really are, you'll be better able to decide what is best for you - the first time around.” At what point do you think that you really decided who your were? I still don't know what I want to be when I grow up. I think this is in the same catagory. 4. “The more you praise and celebrate your life, the more there is in life to celebrate.” At what time of the year do you think you celebrate your life the most? My birthday? I'm always so happy I made it another year. One more year closer to my kids not getting totally fucked up if I die and someone else has to raise them. That's for me to do. 5. “So go ahead. Fall down. The world looks different from the ground.” Are there times when you thought you had fallen down and learned something about yourself? Everytime I fall down I have to lay there for a minute and make sure I didn't REALLY hurt myself. Then I get up cussing about all the freaking gopher holes in my yard. 6. “Devote today to something so daring even you can’t believe you’re doing it.” What was the last thing you did where you thought that you could not believe in what you were doing? Today when I stood in line for an hour (in the 90+ heat and no shade) waiting to pay to get my daughter's bus pass. I SWORE last year I wouldn't wait until the last minute again!! 7. “Where there is no struggle, there is no strength.” Do you think that you must struggle to become strong? 8. “Doing the best at this moment puts you in the best place for the next moment.” Do you feel that life’s experiences always prepare you for what there is to come? Yeah. I know as SOON as I get that laundry caught up someone's going to pee the bed or something. 9. “The biggest adventure you can take is to live the life of your dreams.” Can only a rich person feel this way? What do you think Oprah means by this? Not really. People who don't hold much value in "things" seem to be able to achive this too. Look at all the people that backpack through Europe with all their belongings on their back. Although once they make it here they are usually just bums so I dunno. 10. “I do not believe in failure. It is not failure if you enjoyed the process.” Do you believe in failure?